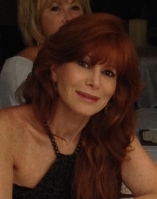 Alison Sassoon is a by referral hair colorist in Sherman Oaks. Trained at Vidal Sassoon Academy, and Louis Licari Color Group, Sassoon has been a master colorist for over 25 years. © Alison Sasson 2009. A Website by Hemaka, Los Angeles Web Design.